NASHVILLE, TN — The legendary singer/actor/philanthropist, Pat Boone was in Nashville recently, speaking at the 2017 Religion News Association Conference. In the years immediately prior to the British Invasion, only one performer rivaled the chart dominance of Elvis Presley, and that was Pat Boone. He’s the #10 all-time top recording artist of all time, earning some 38 ‘Top 40’ hits’ in his career. In addition to his hit-making music, successful films and wholesome but handsome good looks, Pat Boone is also responsible for making it really cool for guys to wear white leather buck shoes, which have long been his trademark. Nashville is Pat Boone’s hometown. In fact, whenever he visits here, which is often, he still stays at the family home he grew up in. During his last visit, Mr. Boone answers Five Questions about his upcoming trip to Israel next year, his memories of growing up in Nashville and a new project he’s launching. TRIBUNE: It’s such a delight and a thrill to talk with a real legend. What brings you to Nashville? TRIBUNE: I’ve watched you and your family on Christian television for many years. 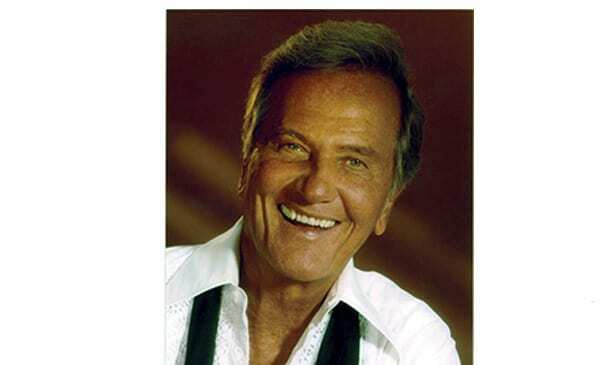 PAT BOONE: “My family is strongly allied and even kin to Jews, and to Israel. I’ve known that my whole life. I’ve been to Israel over twenty times. So, on May 9, 2018, we’ll host a tour of probably five hundred people at least, to visit the Holy Land. I’ll do two concerts in Tel Aviv, along with other Christian artists. Over the years, I’ve been so supportive of Israel. I was given the medal appointment of the Christian’s Ambassador of Tourism. I’m an Ambassador Without Portfolio, a designation by the Minister of Tourism, promoting Tourism to Israel. Anyone who wants to go on this trip still has some time. They can still make the initial deposit up until some time in November. Go to www.patbooneisraeltour.com or www.patboone.com. I urge all people, including the atheists, the humanists, and the secularists, to come with us to visit Israel.